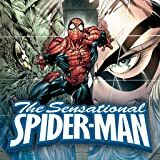 Collects Sensational Spider-Man #35-40 and Annual #1 and material from Spider-Man Family #1-2, Spider-Man: Back in Black Handbook and Marvel Spotlight: Spider-Man Back in Black. Reeling in the aftermath of Civil War, Peter Parker has plenty of reasons to consider a change of wardrobe: Black is his state of mind. But the worst is yet to come for Spider-Man! In Sensational Spider-Man, as Spider-Man and his family get used to the new status quo...other Spider-Men begin appearing all over the city. Younger, less-experienced versions of our web-spinning hero, causing havoc wherever they go.Who's creating these arachnid dopplegangers and why? And will Peter Parker be able to stop them, and whoever's behind them, before more lives are lost? 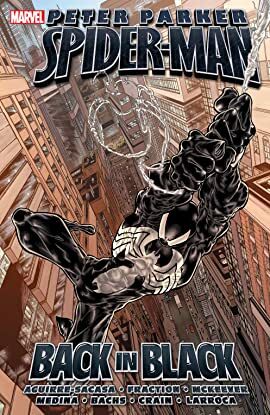 And in Spider-Man Family, Peter Parker and his supporting cast get all-new, untold tales featuring the original alien symbiote black costume.